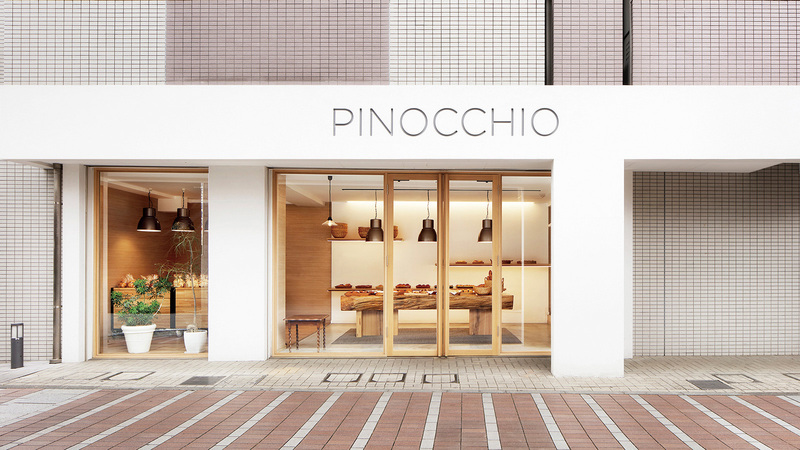 A bakery located at the landmark Matsubara shopping street in Japan’s Yokohama city, Kanagawa prefecture. 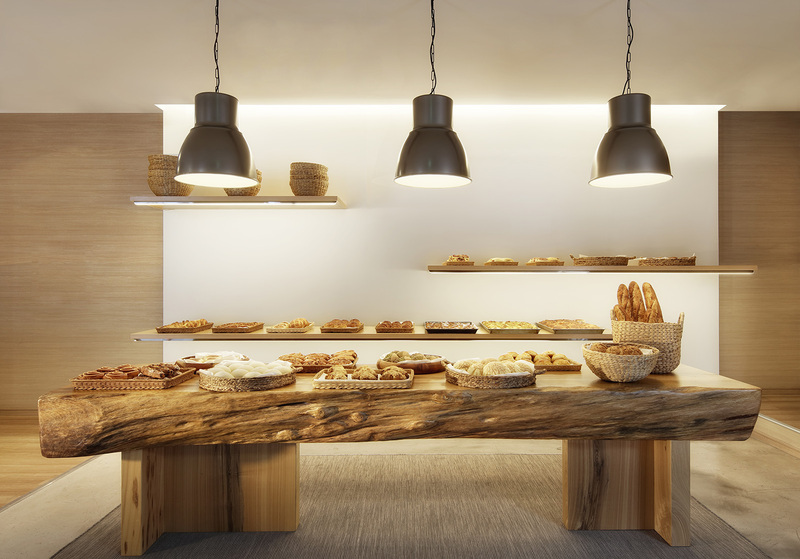 A solid wood table, installed at the center of the store with a strong presence, creates an immediate and unforgettable impression. 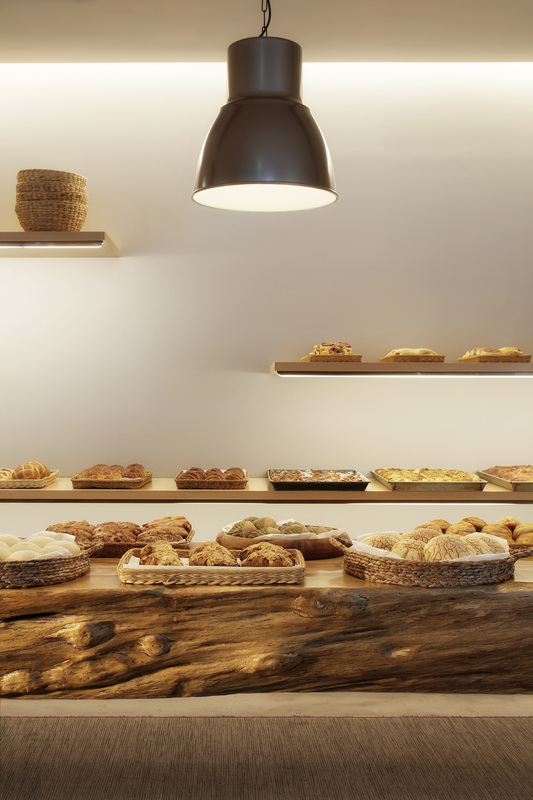 It is a strong focus point that presents the bread and pastries in an intuitively natural setting. 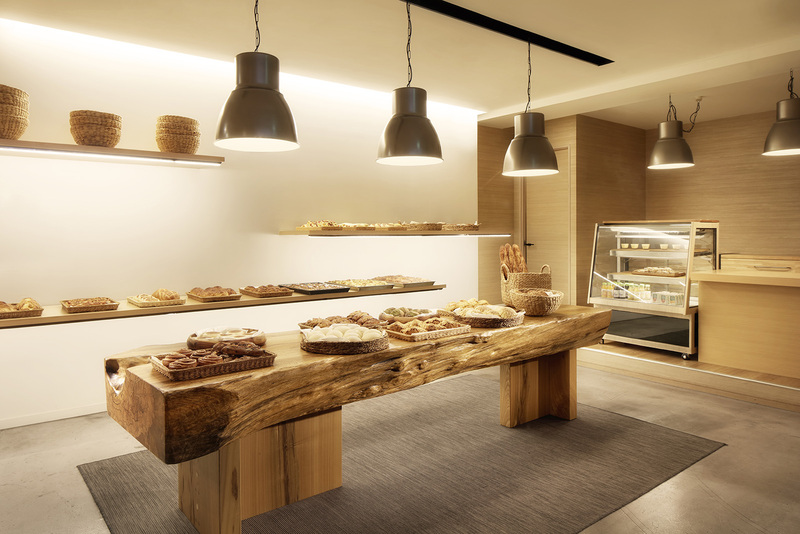 The unique irregularity and texture of the wood, achieved over time, creates a high-quality expression to the space. 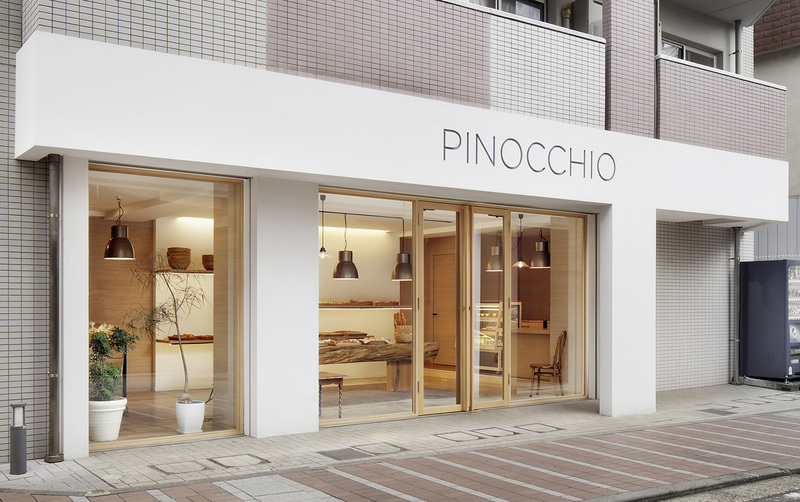 Another unique feature of the store is its wide street-facing facade. 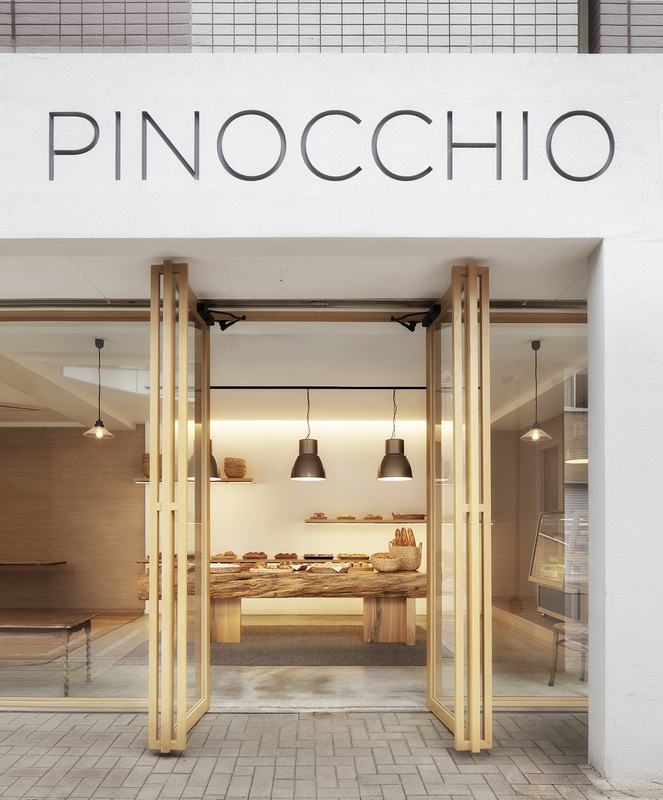 By installing a long table in the middle of the bakery, we created a simultaneously external and internal form that is easily visible and recognizable from the street. Soft facade lighting further emphasizes the flow of the seasons and the shift of day into night.